Valletta fans woke up yesterday morning with a big smile on their face after seeing their team boost their chances of successfully retaining their Premier League title when they beat Hibernians 2-1 to join the Paolites at the top of the standings. It was a resilient performance from the Malta champions who managed to recover from a disappointing first half performance to turn the tables on their opponents with their most in-form player Miguel Alba unsurprisingly netting the winner from the penalty spot to seal a crucial victory. Victor Sciriha, the Valletta president, hailed his players determination on Sunday and described Sunday’s victory as a crucial result for their hopes of retaining the crown of Malta champions. “It was a very important victory for us as had we failed to beat Hibernians our gap from top spot would have increased to six points and honestly it would not be so easy for us to recover such a gap in this year’s championship,” Scriha told the Times of Malta. Sunday’s result have set up, as anticipated, an intriguing three-horse race for the titel as after Match Day 15, Valletta are now sharing top spot with Hibernians on 34 points, one clear of third-placed Gżira United. Sciriha warned his players that their win against Hibs will prove futile if they don’t approach their next matches with the same level of focus in what is turning out to be a very difficult season. “Beating Hibernians was very important but there is still a long way to go,” Sciriha said. “There are still a lot of matches and we need to approach every match with the same mentality as we cannot afford any slip ups. “We have still to face many top teams, starting with our match against Birkirkara next month, and we need to be ready. This year’s championship has shown that every team is capable of dropping points against anyone. In the last few weeks, there has been a lot of talk that not all was good between Valletta FC’s new owners, Dubai’s Sanban Group, and the Valletta FC committee. Sciriha refused to be drawn into the differences that exist between the two parties but revealed that after his meeting with the investors in Dubai last month things were looking better. “These are internal matters and will remain so for the time being,” said Sciriha. “Last month I was in Dubai for talks with the investors and things are much better at the moment. But we just need to wait and how this relationship will develop. At the moment, there are no cause for concern but you never know what will happen. “However, Valletta FC will continue with its plans with or without the Dubai investors.” One major project that Valletta FC are looking to implement with the Dubai investors is the construction of a sports city. Asked whether there were any developments Sciriha said: “There hasn’t been any developments at the moment. We have been promised an area in Ħal-Farruġ and we are hopeful that all the paperwork will be completed so that the final 8,000 square metres will be transferred to the Lands Department. “It’s an ambitious project but it needs time to be completed. In fact, before any work can be made the land on the site must be cleaned to be fit for construction. 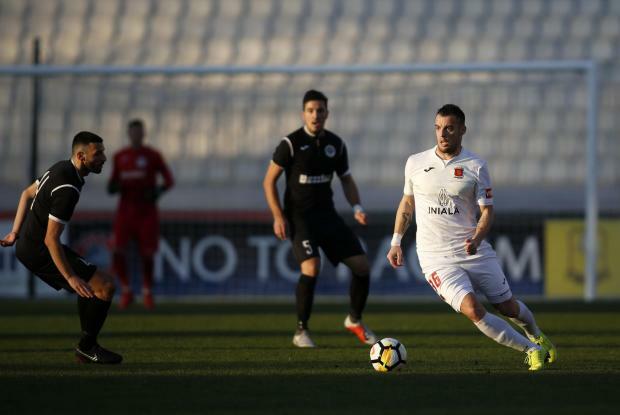 Valletta have not been much active in this month’s transfer window with their only acquisition being Italian midfielder Antonio Monticelli who signed an 18-month contract after he acquired his release from his former club Ħamrun Spartans. Sciriha said that Monticelli is likely to be Valletta’s last piece of business this month. “At present I don’t think that Valletta will be making any more signings as we’re happy with what we have,” Sciriha said. “We signed Monticelli as wanted to bring in cover for Rowen Muscat. The only player who could leave the club is Kyrian Nwoko who will be going for a trial with Scunthorpe.